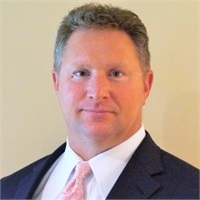 Gregory Leone | Georgetown Financial Group, Inc.
Operating within a network of top insurance carriers and mutual fund companies, technical advisors, and service professionals, Greg works with client organizations to help establish both qualified and non-qualified retirement programs. He consults with clients to develop an understanding of current and long-term objectives, provide an in-depth analysis of existing programs, and subsequently offer recommendations on plan design, informal financing, and administration. His goal is to provide clients with an effective and efficient risk-managed business solution, addressing the impact of retirement program options on cash flow, earnings, shareholder value, and other financial and corporate objectives. Greg is an Investment Advisor Representative and has over twenty five years of insurance and investment related experience. Prior to joining Georgetown Financial Group, he worked for several national and regional firms, most recently serving as Director, Retirement and Executive Benefit Services at Crystal & Company. He was also Vice President of Sales and Marketing for Meyer Chatfield, a Philadelphia-based firm specializing in the placement of Bank Owned Life Insurance, Manager of Design and Analysis for Clark Consulting in Dallas, Texas and a Senior Financial Analyst for the Newport Group in Orlando, Florida.